This luxurious custom-built 4BR 3.5BA 2-story home, located on a private 25 acre estate lot is breathtakingly beautiful. 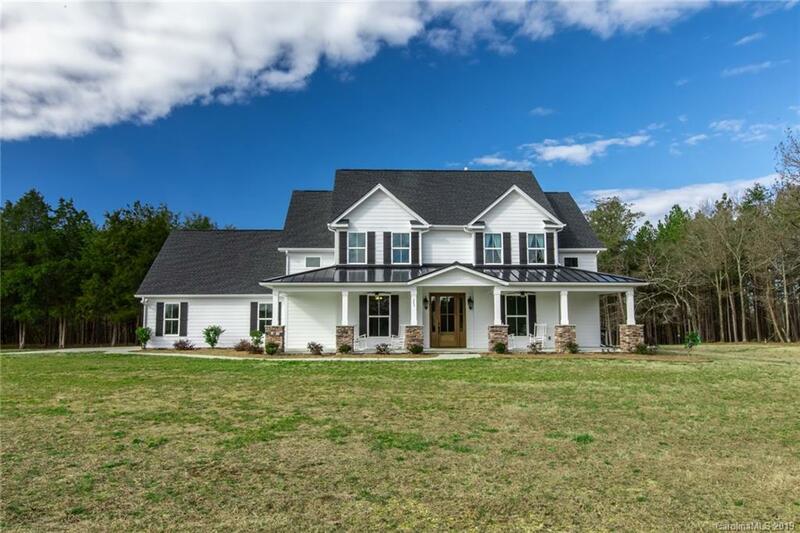 No need to settle; this modern farmhouse is sizeable, with a perfectly balanced open floor plan and outdoor space. The gourmet kitchen is a conversation piece and the granite island is a show stopper! A beautiful vaulted ceiling in the great room extends out to the vaulted rear porch creating a dramatic effect with views. The architects and designers created the perfect flow for natural light to flood in, coupled with a gorgeous solid wood front door. The nearly 1,000 SF of open porches on the front and back provide extended living space and is ideal for social gatherings. The magnificent panoramic year-round views simply take your breath away! All of this is minutes from Lake Wylie, dining/shopping and a short drive to Uptown & airport. Located within award winning Clover School District! Bring your Horses – 15 ft wide trails with several creeks. Low SC Farm taxes!